How did you get into coding & developing? When did you know this is what you were meant to do in life? I first got started with coding and developing websites when I was around 11 or 12 (1999/2000), which was when I first got online. I was intrigued by how the websites got there and discovered that I could view the source of the page, alter it, and things would change and that amazed me! I guess I’ve knew since then that this is what I was meant to do. Your project CrazyPellas has grown into a huge community of over 50,000 members. What were your intentions behind it and did you ever think it would be as big as it is today? CrazyPellas was started to rival my older brother’s website, LLMental4Pellas. I had no intentions or any idea of the direction I was going to take it, I just wanted to be better than his and get more members – and in the end I won as he shut his website down a few years ago and had nowhere near the amount of members CrazyPellas has. I didn’t know how far CrazyPellas would spread but I’ve been disappointed over the last couple years where activity has really dwindled down, which I take complete responsibility for as I had neglected the community for a while, changed the direction and not delivered on a lot of promises. The intention is there, I just don’t have as much time as I used to. The lesson to be learned is not to neglect your community. 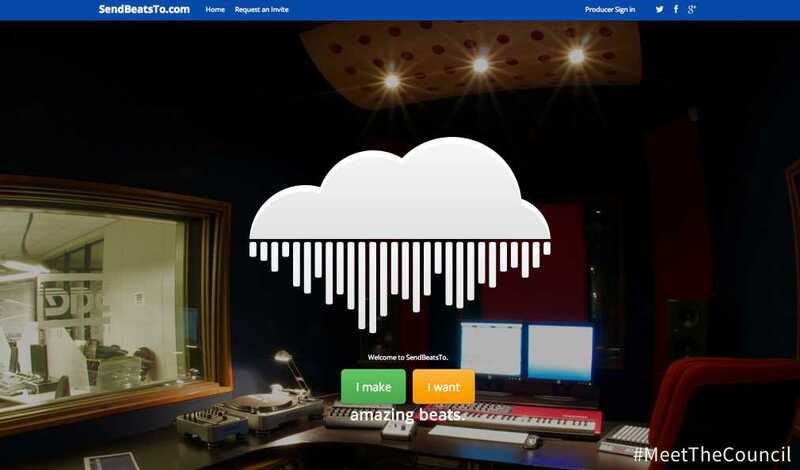 SendBeatsTo is your newest project that helps bring artists and instrumentals together. What is the in store for SendBeatsTo members next? There’s still a lot of things planned for SendBeatsTo, a lot of which you can see here. I’d like to get a lot more verified well known artists on board but we’re still in beta and haven’t been reaching out. However we’ve verified accounts with a number of well known artists. SendBeatsTo has been getting amazing feedback; Just Blaze has even said that we’re a “cool idea”. With CrazyPellas and SendBeatsTo I’m sensing the theme that you mostly create for musicians. Why are music related applications your focus? Do you intend to focus on projects that are for more than musicians? I love music, simple as that. I feel that for the time being my time is better put to use developing applications to help musicians rather than picking up an instrument and learning to play. I’d love to start playing guitar again and plan to when I’m in a position to delegate more work. I actually do have projects in the back-burner that have been there for a while! I’d love to get started on them. I’ve also got imInnovative where I do client work of developing websites, mobile sites, and social media strategies. I actually have another music project that I’ve been working on sparingly, not exactly sure when it’ll be ready, but I’ll keep you posted. How do you find the inspiration for your work and to keep creating? My inspiration for new projects comes from seeing a gap in the market and poorly executed ideas. What is your best piece of advice to an upcoming developer? My best piece of advice to upcoming developers would be to never stop learning new technologies. I feel that “never stop learning” is good life advice in general. Indeed that is great advice in general. Learning is necessary to grow with art, but what does art mean to you? Art to me is anything that people create whether it is a line of code, music, a design, a drawing, a poem, script or story we’re all in these creative industries together and life would be very boring without us. It’s no secret you’re a very successful developer, are there any other fields you hope to get into in the future? I don’t see me ever stopping developing websites, but if I was to venture into other fields it would still be technology based. Developing mobile apps is one direction I could head in. I decided to join the ThinkDope cause as I love helping others and have built up a lot of experience over the past 10 years. Thanks for taking the time to introduce yourself to our audience, is there anything else you’d like to say? Thanks for the opportunity! I look forward to working with everyone and watching the team grow. Until recently Windows Phone lacked some pretty important applications such as; Instagram, Vine, and Pinterest. However the independent development community for Windows Phone wowed users with incredibly beautiful designed works of art. Some of these apps are even better than the official ones. I picked some of the most popular social media apps on Windows Phone so I can tell you which alternatives are the best in this two part mini-series.